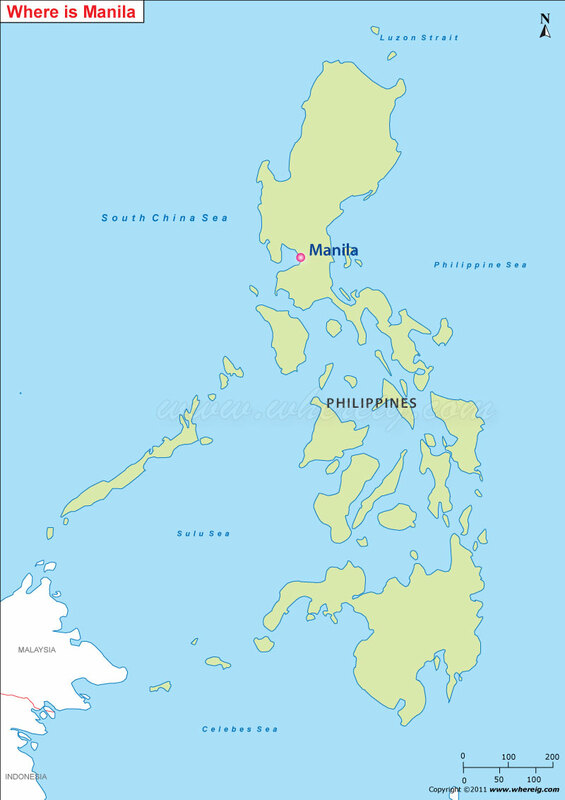 As shown in the given Manila location map that Manila is located on eastern Shore of Manila Bay in the southern region of Luzon Island. Manila is the capital city of Philippines and second most populated city after Quezon City. For the administrative reason, the city is divided into six legislative districts, which consists of sixteen geographical districts. In addition, Manila is the center of various scientific and educational institutions, as well as numerous sport facilities. These features facilitate the city as a major political, commercial, cultural, educational, religious, cosmopolitan, and transportation center of the Philippines. Manila port is one of the most developed sea-port in the world. The economy of city largely depends upon the export and manufacturing chemicals, textiles, clothing, and electronic goods. Besides, the coconut and copra oil are also being produced.